Scrumptious cakes that have less fat, fewer calories and are truly delicious! 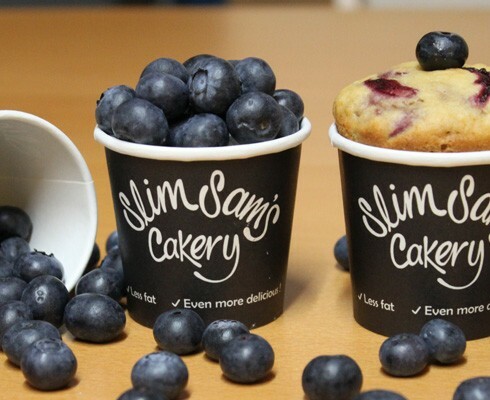 Slim Sam’s Cakery was born two years ago when my love of cake turned into an actual muffin top! Something had to change, as I wasn’t giving up lemon drizzle, victoria sponge and her friends without a fight. I started trying the low fat versions of my favourite cakes, desperate to find some that were both low in fat and delicious. I looked. Hard. But alas, I found nothing. So I made a decision. I picked up my apron and my wooden spoon and decided to make my own. Two years, countless hours and hundreds of kilos of flour later and I found the perfect balance of fresh fruit, healthy ingredients and baking techniques. Together, they result in the most delicious cakes, that have less fat, fewer calories and are packed full of exquisite natural flavours.